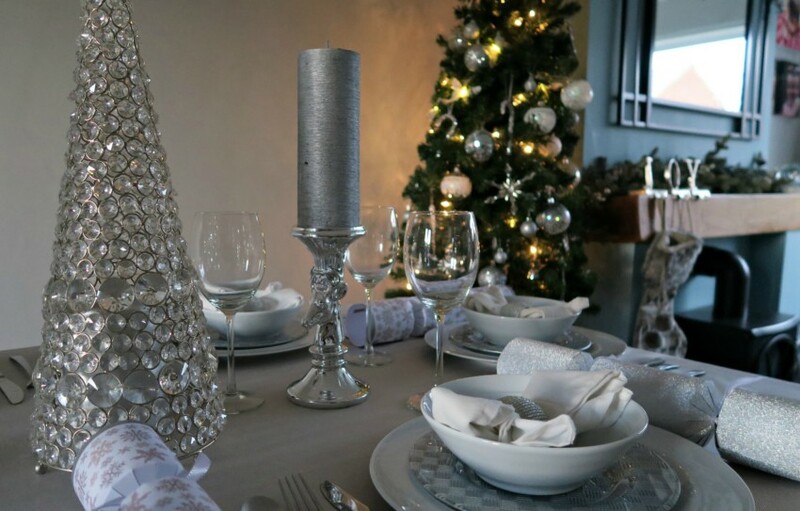 I love on Christmas day setting up the Christmas table, filling it up with pretty plates, candles and making a real effort. Day to day, I have a functional wipe clean table cloth, tough plates that the kids can’t break easily and it is usually covered in paper from the girls colouring and spelling practice. 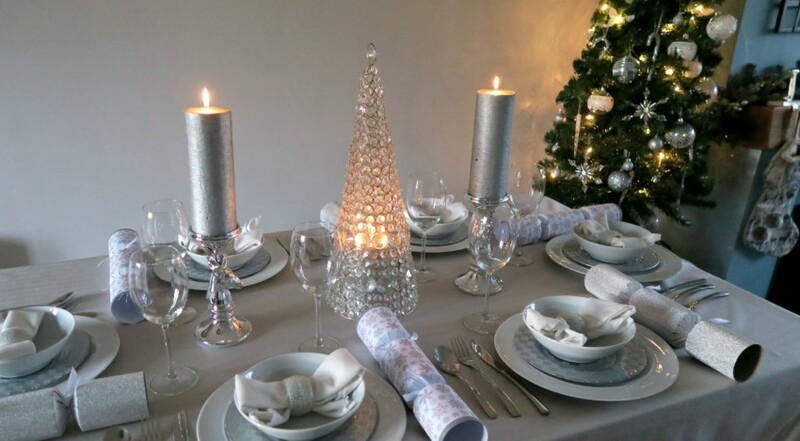 So the Christmas table is my chance to indulge and make pretty! 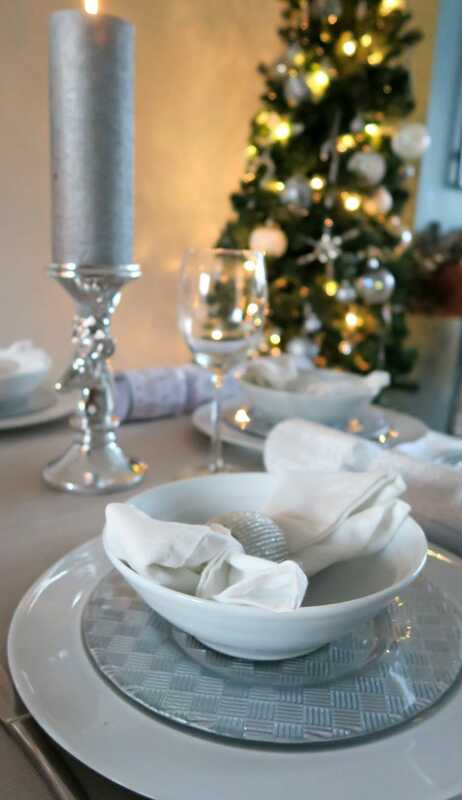 I am working with HomeSense to see how I would put together my Christmas table and using products from their store. I love HomeSense and I am always surprised on what great things you can find, and they did good again! 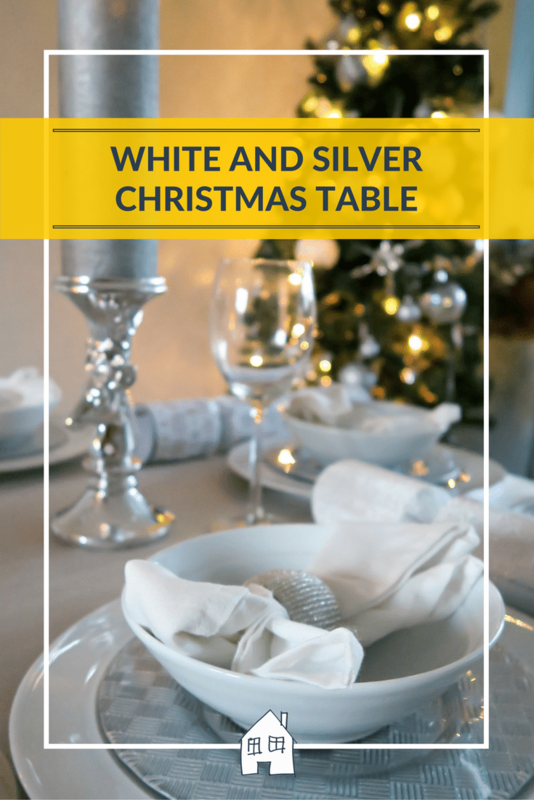 I have gone for a white and silver Christmas table this year, with some sparkle added in the plates. 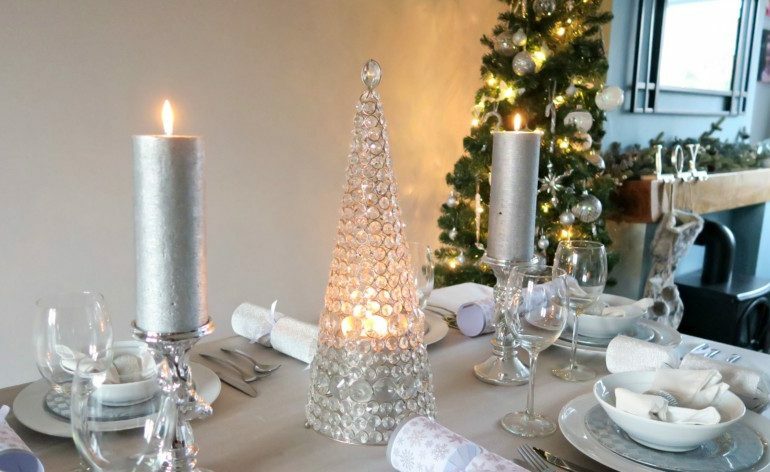 You can always guarantee that my Christmas table will have some sparkle somewhere! I wanted to use a crisp white plain dinner set, but when I saw these silver glittery side plates I knew I had to have those! They add a bit more sparkle but also a nice contrast to the plain white plates. This year I also seemed to be drawn towards Reindeer’s! 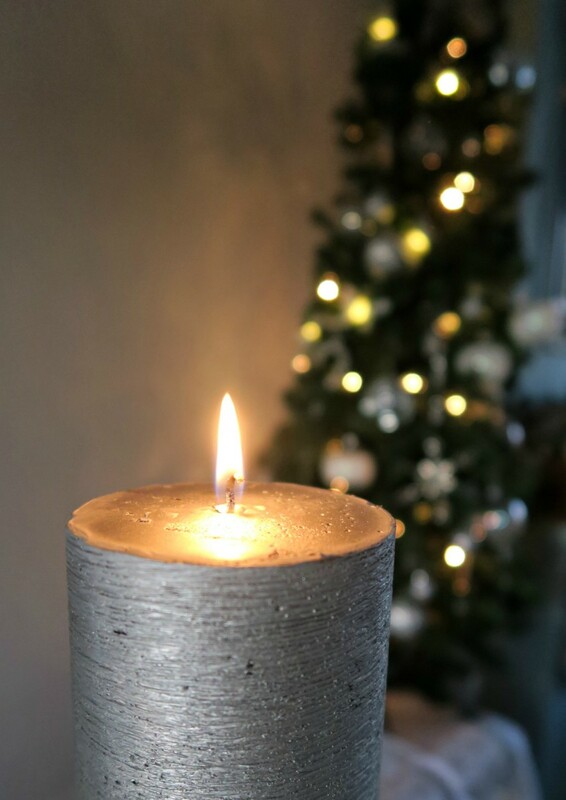 HomeSense had these great candle stands in silver, and you can be sure you will find a candle that will go well with them in HomeSense. They have a full aisle of candles, and even colour organised! 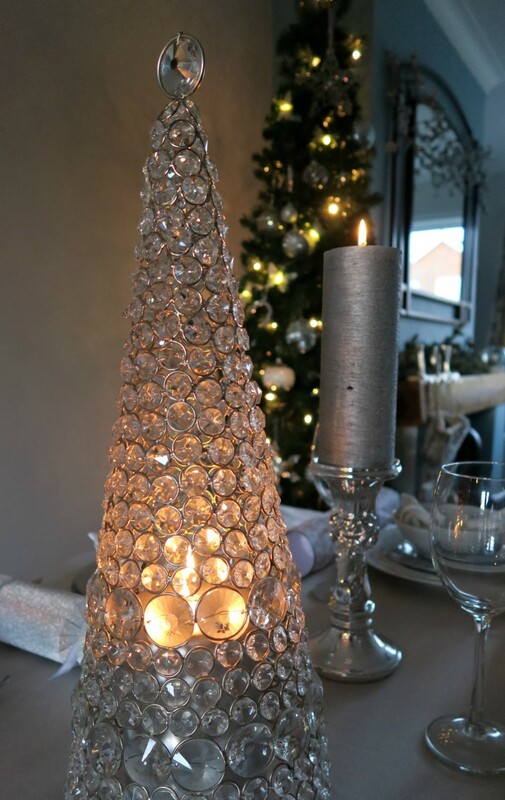 Also I spotted this crystal spire that I loved, and thought would look really nice with a candle in and sparkling on the table as a centre piece. Then during the day, when the sunshine hits it, you have rainbow patterns all over the wall, it is really pretty. A shorter candle would create more glowing light throughout the crystal spire. I am so pleased with our Christmas table, and I cannot wait to put it together again on Christmas day, and sit around it with my family. It looks fab, love the candles. Hope you had a lovely Christmas and happy 2017! Wow that looks amazing. 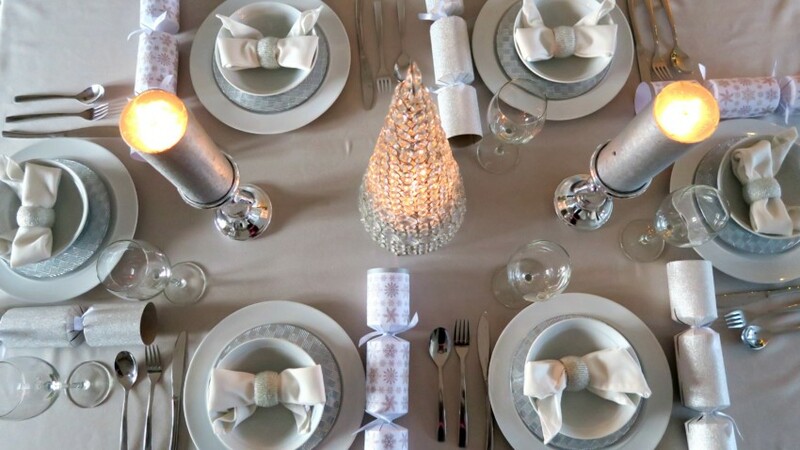 I haven’t even thought about the table setting yet. i am so stressed out this year. Still have to get presents. Gorgeous! I am going for a similar colour scheme this year myself, love it! Looks really lovely. 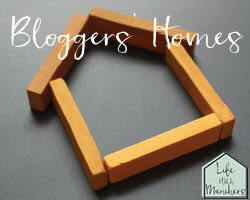 I just love Homesense – it’s always good for reasonably priced pieces. And I love your bow napkins too. So pretty and festive. Love how you’ve made the napkins look like bows. 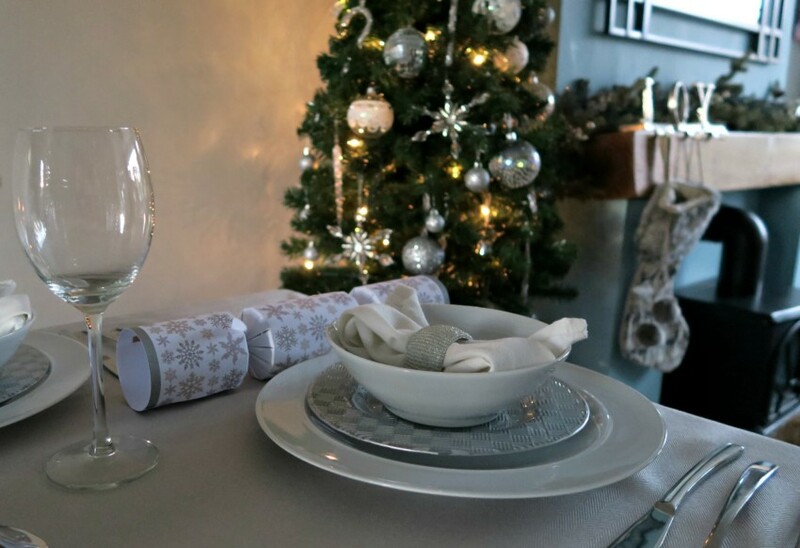 You’ve styled your table beautifully, absolutely perfect for Christmas. I love the crystal spire and the sparkly side plates. 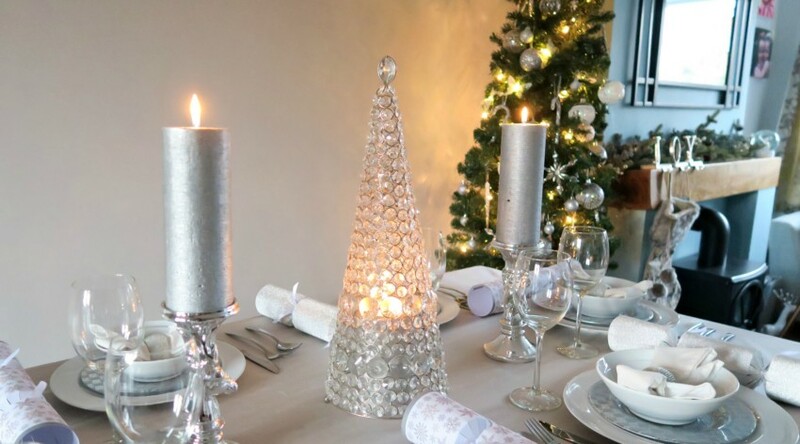 Silver and white is such an elegant festive theme – love your styling Stephanie!